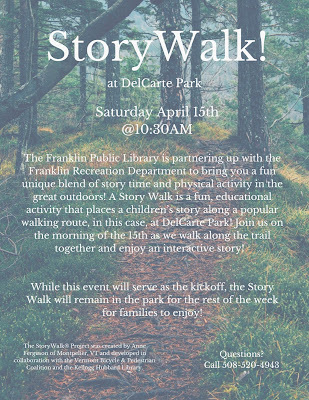 Franklin Matters: Story Walk - At DelCarte Park - Saturday April 15, 10:30 AM. 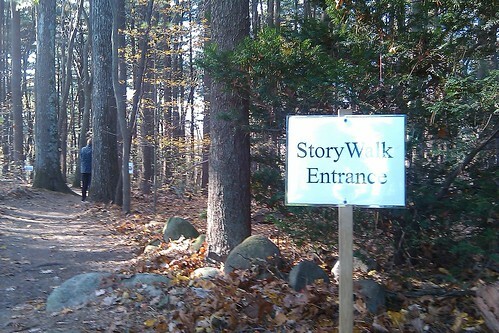 Story Walk - At DelCarte Park - Saturday April 15, 10:30 AM. The Franklin Public Library is partnering up with the Franklin Parks and Recreation Department to bring you a fun unique blend of story time and physical activity in the great outdoors! 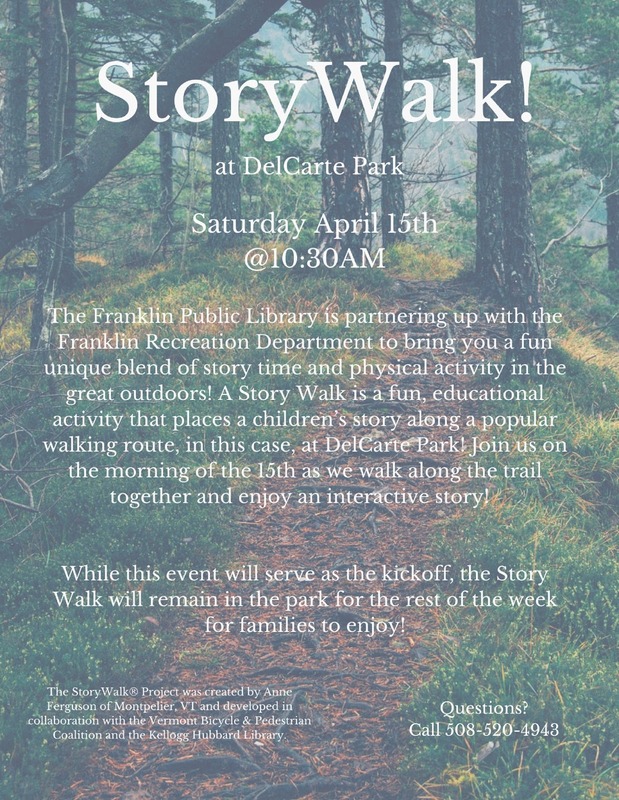 A Story Walk is a fun, educational activity that places a children’s story (literally a book taken apart) along a popular walking route, in this case, at DelCarte Park!